MELBOURNE, Florida -- On Thursday, the Brevard County Sheriff’s Office responded to a 9-1-1 emergency hang-up call in the 1900 block of Croton Road in Melbourne, Florida. According to BCSO spokesperson Lieutenant Mike Scully Deputies, when the deputies arrived, they found 22-year-old Adam Christopher Kosa covered in blood, sitting on the front porch of the home. When deputies inquired about the origin of the blood, Kosa alleged said that he had just killed his mother’s dogs. Upon investigation, the deputies discovered six dogs in the home of which, four had been cut with a box cutter type knife. Three of dogs died as a result of their injuries and one dog is being treated at a local animal hospital. The investigation led to the arrest of Kosa, who was charged with four counts of Felony Cruelty to Animals. 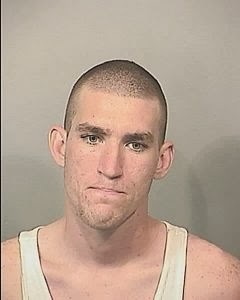 Kosa was transported to the Brevard County Jail Complex under a $20,000 bond.